Jose Mourinho is desperate to improve the quality of the first team at Old Trafford this summer, and has been linked with some of the finest stars in Europe. He has already made a couple of signings in Fred and Diogo Dalot, but continues to scout for potential transfer targets who can help the team compete with the best in Europe. 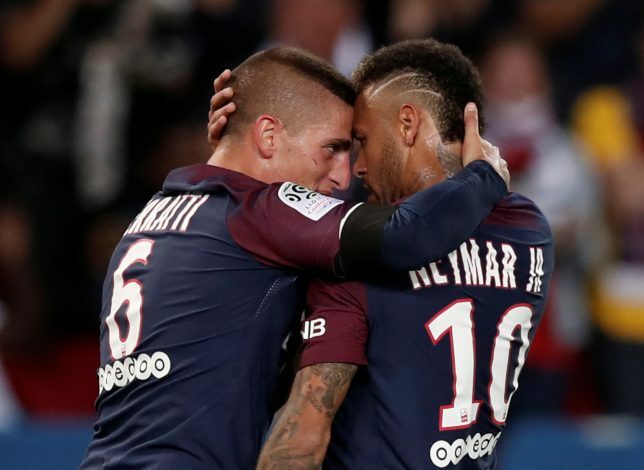 One such player, who has been on the club’s radar for quite a while now, and is available in the transfer market this summer, is Marco Verratti. The Italian international is arguably one of the most consistent players in his role in world football at the moment. He has spent six long years with the French giants but has been extensively linked with an exit for a couple of summers now. Reports now claim that PSG are ready to let him leave this summer, after Thomas Tuchel, the new boss at the French capital, is not convinced of Verratti’s fitness. A story from Italy claims that Tuchel has asked the 25-year old to lose some weight, which irked the player to look for an exit. His agent, Mino Raiola, is already looking for potential destinations, with Manchester United on the top of their wish-list. Verratti is also wanted by Spanish giants Barcelona and Real Madrid, but United have been long-term admirers of the midfielder, and could be making a move in the coming days. He will not come on the cheap, but given the fact that he has been on United’s transfer wish-list for quite a while now, the Red Devils would jump at this great opportunity for get their hands on Verratti. Italian giants Juventus are also interested in his services, but Raiola’s connections with United, coupled with Verratti’s dream to play in the Premier League, puts the Mancunian giants in pole position to land him this summer.